How to Create a Kids' Chore System that Really Works? How to create a Kids’ Chore System that works? 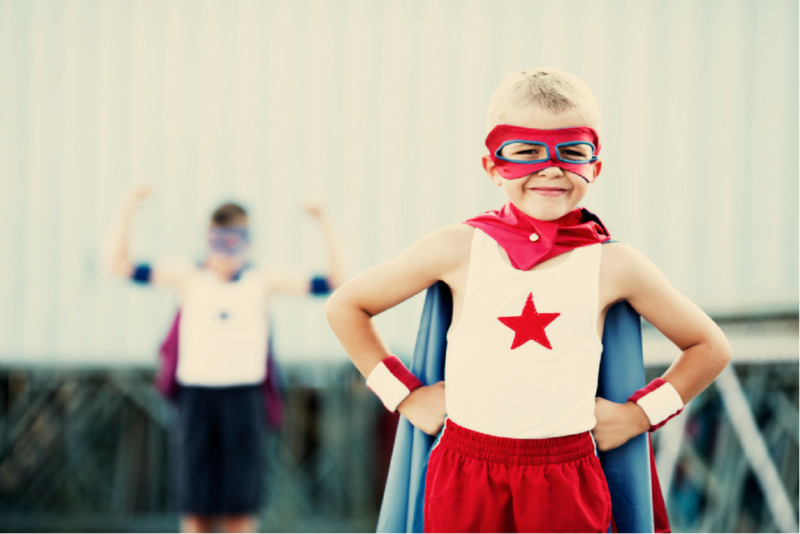 Do you know that one woman created a list of 149 real-life skills we should teach our kids from age 2 to age 18? From “help empty dishwasher” at age 4 (“Yeah, my kids do this one! !”) to “Check and fill all car fluids” at age 16 (“OMG I didn’t think about that one!”) my enthusiasm began to melt away as the list went on and on… until I reached the end of the list and was completely overwhelmed. But mostly to improve their independence and self-sufficiency on the long run. So why do you think so few families actually share the household chores with their kids on a daily basis? Are we lazy? I don’t think so. Are we unaware of the benefits of our kids doing their chores at home? Of course, we’re not. The reason is that we don’t know HOW or where to begin. We may have tried one system that did not work and then gave up the whole thing. Or found that the kids (or our husband!) were definitely not on board… and we didn’t want to fight this chores-battle alone. First I’d like to make a point that kids’ contribution at home is certainly a must — but is also just a part of a larger family set-up. 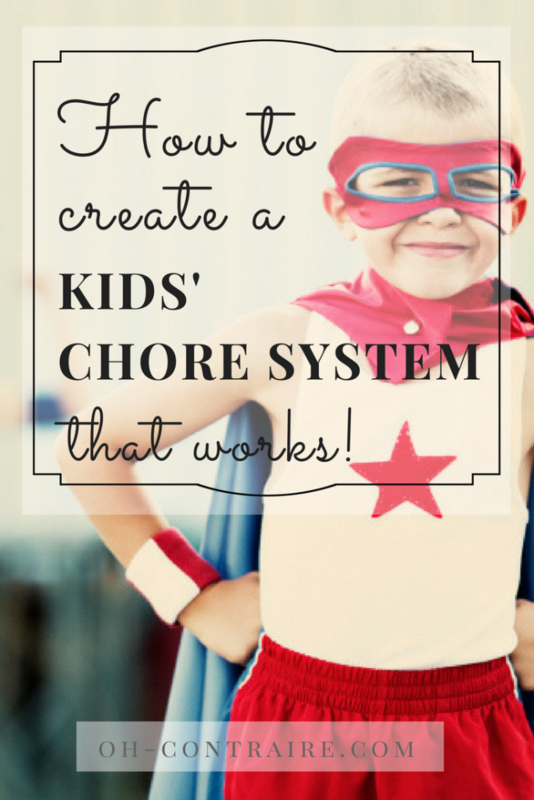 Kids’ Chore Systems are the day-to-day incentives that help the kids to actually do their chores. Family Meetings are the magic wand that keeps the system moving and improving. Family Meetings involve the whole family as a team working together for one same goal: a simpler and happier family life. So if you’d like to implement something that will work, you’ll have to address Family Rules first. Only then you can work on Kids’ Chore Systems and Family Meetings. How to define your Family Rules would require a long post of its own. But without getting too deep in this, I’ll tell you the most important part of it: which is to include one specific rule about “sharing the good times and the hard work together as a family”. Because when kids’ contribution is set as a rule with your family, then everyone has to share the load! In the vast galaxy of parenting tools, I’m sure you’ve heard of Star charts or Sticker Charts or Reward Charts… Maybe you saw your kids’ teacher using a Behavior Chart in your kids’ classroom. In some families, pocket money is also used as a reward for specific jobs or behaviors. So which system will you choose? Which one works best? Which one should you go with, for a pre-teen that will hate you if you’re even trying to implement a good old “Star Chart”? The only answer to all these questions is: take some time to brainstorm YOUR specific needs and your family specific schedule. Only you know what will fly and what will fail in your home. 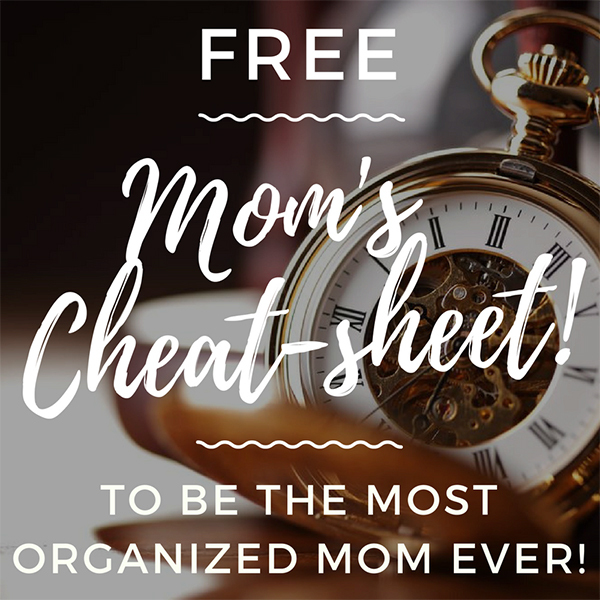 Creating your own version of a kids’ chore system is the only guarantee that you’re not losing your time for an umpteenth parenting tool that won’t fit your family. First, you’ll need to choose the jobs or contribution that will be included in the kids’ chore system. Using an Age-Appropriate Chore list seems a good start here. Then, you’ll have to define a Point System: how many stars for each specific job? Finally, you’ll have to choose the kind of rewards you’ll use: Quality-time rewards, Pocket Money, Technology Time Vouchers are good ideas, to begin with. How to make it work in the long run? I’d like you to picture a Kids’ Chore System as a keystone in one building. A keystone is a central piece, it’s key, but it will NOT stand by itself. This is what happens with any Kids’ Chore System. If tomorrow you implement only a Star Chart – and not the whole family set-up with Family Rules and Family Meetings- it will require tons of time and energy from you… and as soon as you turn your back and you’re not micro-managing your kids, their chores will not get done. In a couple of weeks, the star chart will be abandoned: the Keystone could not stand by itself, without true reinforcing stones all around it. This is why I strongly encourage you to work FIRST on your Family Rules (your true reinforcing stones!) 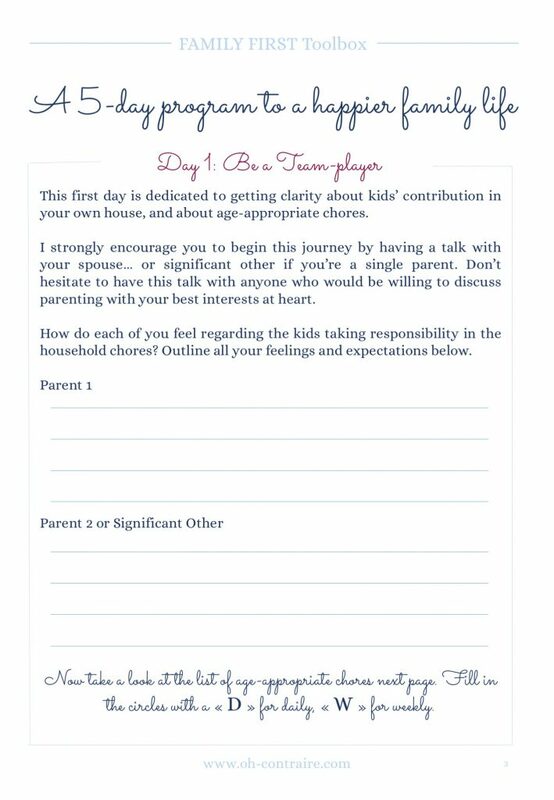 then work on creating your own Family Meetings… finally being able to use these meetings to brainstorm your own Kids’ Chore System with the whole family. Sounds a lot of work, right? FAMILY FIRST, a 5-day program for a happier family life. I’m creating this “toolbox” for busy families who have strong family values but not a lot of time! The workbook will be set up to help you create Family Rules, Family Meetings and your own Kids’Chore System in just 5 days. My ebook can already be bought in my Etsy Shop but I can’t resist the pleasure to give you a sneak peak here. which of course is included in the FAMILY FIRST Workbook. Hope you’ll like it! Happy organizing!